Earlier this week we said that it looked increasingly unlikely that the EFD group would survive after the French National Front and the Tories had pillaged the membership but that Nigel Farage always has something up his sleeve. 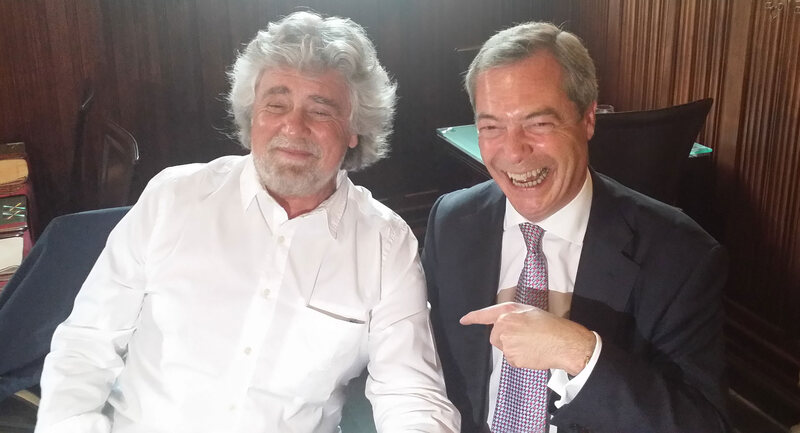 It looks very much like what he had up his sleeve was an ace because Beppe Grillo's 5 Star Movement's members voted overwhelmingly today to join the EFD group, taking the number of countries represented in the group to 6 and just one short of the minimum to formally recognise the group in the EU parliament. Commenting on 5 Star Movement's decision to join the group, Farage hints at more members being unveiled next week. This gives a great confidence boost to those other delegation members who are coming to sign up to our common Group next week. This feeds into a process of solidifying what should be a big group.